EspacioUno -a successor of EspacioCero- was the second edition of a festival organized in Thessaloniki, Greece. An all-purpose place -the former military camp Kodra- has hosted a series of events where multiple languages of artistic expression met and compared with each other. Following the path already drawn during the first edition of the festival, the Company Nomeolvides Co. managed to organize a dynamic and interactive planning in space open to attendance and to the interchange between creative and viewing processes, between different arts and disciplines. This year, in order to confirm one of the foundations of this Festival, that is, the interaction and the dialogue between Greece and Spain, between East Mediterranean and West Mediterranean, Interartive participated with its own curatorial proposal. During the festival Interartive proposed a video-art work made by an Argentinean artist that lives in Spain, Aníbal Parada. A project by Aníbal Parada. Encounter/Loss, Autonomy/Dependency, Illusion/Becoming conscious: the relation between artist and curator has always been characterized as an experience of grand contrasts, reciprocal necessities, attractions and repulsions. The work by Aníbal Parada synthesizes this controversial experience and reflects in a subtle manner over the role of the artist and the curator in the world of creation and the contemporary artistic market. 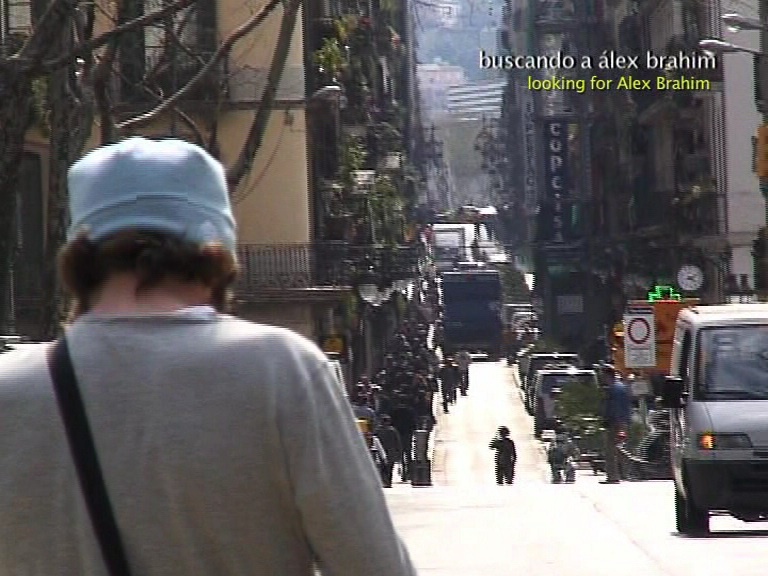 The artist covers a long distance in the city of Barcelona looking for the curator Alex Brahim: in the end we discover that both of them were looking for the same person.